Students have access to check their grades and attendance in pinnacle. Student usernames are your seven digit Student ID number (included the leading zero if applicable). If you don’t know your username or password please see the LHS Registrar. 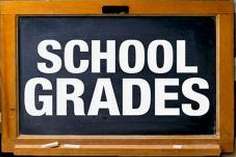 Parents also have access to check their students’ grades and attendance in pinnacle. PIV (Parent Internet Viewer) usernames are the same as last year and are a 9 digit number that starts with a 1. You also used the PIV username when doing online registration. Parents, if you need your username or password, please send an email to Rhonda.Restau@lebanon.k12.or.us. Include your name and the name of your student. You can login to pinnacle at the LHS website, over on the right under Quick Links, choose Pinnacle Login. If you need to excuse your student’s absence, please call the attendance office at (541) 451-8549. Please state your name, your student’s name, the date of the absence and the reason for the absence. We get many calls in the attendance office and some go to voicemail. We check the voicemail several times a day and record the details of each message.